Brouage was founded in 1555 by Jacques de Pons on the Bay of Biscay facing the Atlantic Ocean. Its economy was based on salt and access to the sea. 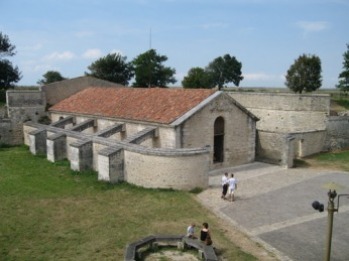 The town was fortified between 1630 and 1640 by Cardinal Richelieu as a Catholic bastion in order to fight against the neighboring Protestant town of La Rochelle. 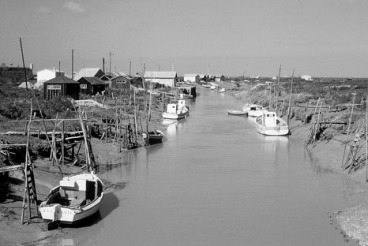 Gradually the harbour silted up in the last part of the 17th century, leaving the town stranded and useless as a port. It fell into ruin. The town's most celebrated son is the French navigator Samuel de Champlain born there in 1567, and the co-founder of French settlement in Acadia and Quebec City, Quebec. In 1825 Brouage was joined to the village of Hiers, 2.5 km away, forming the commune of Hiers-Brouage. 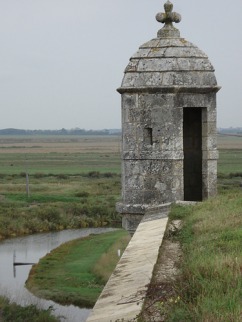 Historical sites to visit in Brouage. The walls of the remparts of the citadel of Brouage.The walls allow you to walk around the entire village,giving you a fantastic view of both the village and the surrounding area. The Samuel de Champlain Museum. This museum is dedicated to Samuel de Champlain,who founded Quebec. 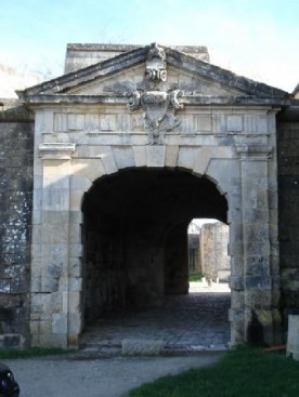 The Porte royale or King's gate which gave access to the quais. The Saint-Luc powderhouse (poudrière) with four flying-buttresses. 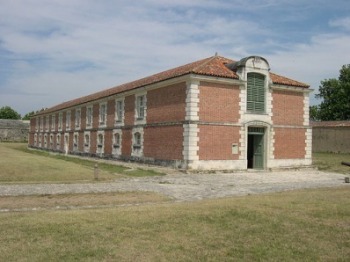 The Halle aux vivres or Warehouse built to store goods and supplies for the citadel. The harbor as its stands now.Picture by Gilles Boileau.